Are you ready to maximize payer contracts’ reimbursements? Using simple reimbursement averages won’t cut it and can cause you to lose money on your top codes. 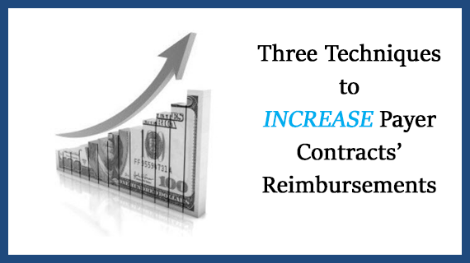 In this valuable three part series we will examine techniques that will increase your commercial payer contracts’ reimbursements. Part one of the series focuses on using weighted averages to calculate and maximize your reimbursements. Learn how analyzing your contracts up front and using weighted averages will enable successful contracts’ negotiations and maximize your payer contracts’ reimbursements. To get immediate access to the article, click here now. Stay tuned for parts two and three in the upcoming weeks.